Foyr, a technology-based home decor solutions startup is India’s first online, automated interior design company. Based in Hyderabad, the company harnesses the potential of 3D visualization technology and Virtual Reality (VR) to create 3D models for property spaces that are immersive in nature. Since its inception in 2015, the company has expanded to six Indian cities and is operational in Singapore as well. 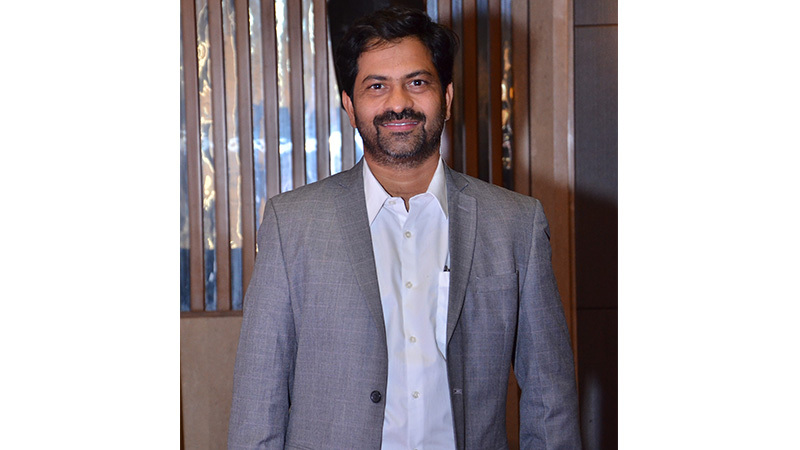 The following is an interesting interview with Mr. Shailesh Goswami, CEO and Founder, Foyr. 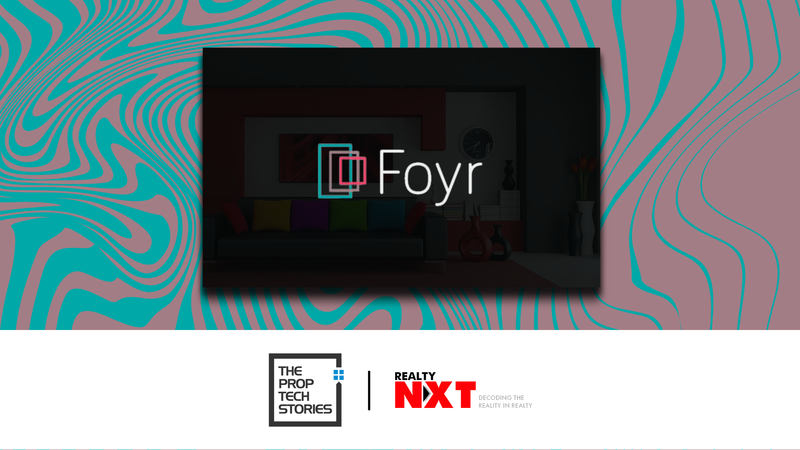 An alumnus of IIT-Delhi and a former senior director at Microsoft, he talks about Foyr, the company’s future, new product launches and ‘Proptech’ the new kid in the real estate town. 1. How and why was Foyr formed? I founded Foyr in the year 2015. While doing up my apartment I realized that the interior designing industry makes such little use of technology and the current processes are so disjointed and time-consuming, which is where I saw a huge opportunity. Also, each time some change has to occur, usually it takes a lot of time to implement. With my technology background, I started this journey to bring next-generation technology tools to the design industry. Foyr was established to solve real-life problems through technology, innovation and design. At Foyr we create immersive and impressive 3D model of any given space by using the potential of 3D visualization technology and virtual reality. We help architects and interior professionals all around the globe, shape and showcase their ideas in a truly immersive and collaborative way right out of their favourite 3D software. We are trying to fasten decision making in real estate by giving virtual experiences. 2. How do things work at Foyr? Our mission is to solve real-life problems through technology, innovation and design. It defines our business, our culture and the kind of work we are passionate about. We are a varied lot of thinkers and doers, continually rethinking what’s possible to help us all do what we love in new ways. We always do our jobs knowing that we can achieve great things when we all work together towards a common goal. 3. How does Foyr plan to expand itself? Our addressable target market size is over USD 6 BN. We have grown 300 percent in 2017 and we plan to grow at the same pace in 2018 as well. We are currently operating in two countries- India and Singapore and expect to cover the geographies of UK & US by the end of next year. 4. What types of clients does Foyr cater to? At present we have approximately 150 clients and we cater architects, interior designers, builders & commercial brokers. 5. How does Foyr see the future? Hence, the demand for Virtual Reality and3D visualization is going to increase in the future and hence, there is a lot of scope in this sector. Initially, the adoption rate of technology in the construction and the architecture industry was not very great. However, in the last few years, it has emerged very well. 3D visualization technology and Virtual Reality has changed the way customers are served in this space. 6. Foyr was recently listed among the top 20 most innovative companies in Proptech by medium.com? How do you feel about this feat? It feels amazing. I think such things are a great push to do better. 7. In 2015, Foyr had announced its aim to expand to 10 cities within 18 months. Apart from Hyderabad, Jaipur and Pune, how many more cities has Foyr added to its kitty? Have you faced any roadblocks yet? If yes, what are those? We are currently operational in Delhi, Mumbai, Hyderabad, Pune, Chennai, and Bengaluru and working towards achieving our set goals and I am very sure we will achieve them with our hard work and dedication. 8. Is Foyr expanding its activities to foreign markets as well? Currently, we are operating in two countries- India and Singapore and by the end of next year, we are expecting to cover the geographies of the UK & the US. 9. Non-institutional investors like JLL and many others are releasing ‘Proptech’ venture funds for startups in the property space. How empowering are these funds for nascent startups trying to gain a foothold in the market? That is a good step to empower the startups and people who want to do something in the Proptech space. There are so many companies which are trying to make their foothold in the market for a long time but because of the shortage of the funds, they do not stand anywhere. But with this way, startup companies will get a chance to expand their business and can take proptech to new heights. 10. What new products/ technology is Foyr planning to launch? Definitely, we are working towards adding new products at Foyr which can serve the real estate industry more effectively by making use of latest technologies. We have exciting global products which are used by architects and builders across the world. But currently, we are focusing on what we have already and adding more features for our users. We would be happy to talk about our new products after 3 months. 11. Any advice you would like to give to budding entrepreneurs in the Proptech space? Don’t copy some else’s idea. Start something you feel very connected with and a problem that you really want to solve. Don’t just do it because someone else has done it. 12. If you weren’t building your startup, what would you be doing? If not this, then I would be a filmmaker making a comedy or suspense movie. I like watching comedy and suspense movies whenever I get time and love the technical aspect of the genre.